Seniors living in South Carolina, who wish to try new things and hang out with other 55+ people, can definitely consider moving to an active adult community, such as, Del Webb Charleston. This community provides you nothing but the best when it comes to homes, community and amenities. Let’s take a journey into the community of Del Webb Charleston in Summerville, South Carolina. Del Webb Charleston is situated just outside the quaint, small town of Summerville, 25 miles northwest of historic Charleston. 1,000 single family homes, ranging in price from $150,000 to $275,000, are spread across 360 acres of beautifully manicured, well-preserved land. Homes in this gated community feature 2 – 3 bedrooms and 2 – 3.5 baths and 2 – 3 car garages. Each home, as is the Del Webb custom, is designed with the lifestyle of 55+ adults in mind. Therefore, when you enter any home in this community, you will find large, spacious great rooms, open kitchens, high ceilings, large windows, front porches and many more. Every detail in your home is attended to with precision, and, completed with an elegant finish. All homes, in this community, are connected by a paved trail system connected to the master trail. An active lifestyle is the focal point in the community. This is the ideal Active Adult Living to either try new hobbies or resume old ones. The activity director, at the community, is constantly coming up with new and improved ways of ensuring your life is full of just the right number of activities. All community social and fitness activities take place at The Resort, a 20,000 square foot clubhouse and recreation center. The Resort includes a fitness center with high-end cardiovascular and weight-training equipment, indoor heated pool, aerobics room, ballroom, hobby and craft rooms and much more. There is also an outdoor swimming pool, tennis, pickle ball and bocce ball courts, dog park, fishing lake and many scenic walking and biking trails that surround the community. If you think this is not enough, then there’s more. There are many clubs and interest groups, workshops, classes that include interior decorating and cake decorating classes etc. As you can see, the opportunities are endless…. Wherever you go, you will recognize a Del Webb community. This is a builder that offers homeowners everything they can think of in a home. Every Del Webb home is built to provide you the peace of mind you need in retirement. 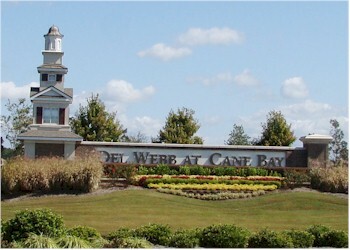 Del Webb has been in the business of building high-end, durable homes for many years. More than 170,000 homeowners in 80+ communities, across the nation, can attest to the excellence and reputation of Del Webb. 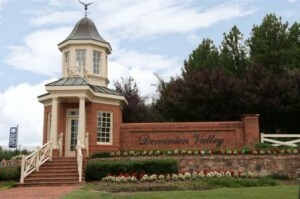 So, if you need a quality home, Del Webb is the builder to consider. If you need an ideal Active Adult Living to retire, in South Carolina, visit Del Webb Charleston. 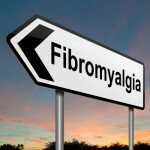 This is the place you can really enjoy your golden years. 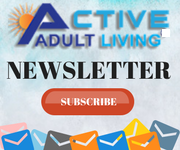 More information on Del Webb communities or any community can be gained by visiting our website ActiveAdultLiving.com®. This is a website of more than 6,000 active adult communities. Visit our website today and find your dream community.